The news this week of Matthew Morgan’s move to Cardiff Blues has brought back memories of when he first burst onto the scene with Wales U20s and shared in an historic 9-6 victory over New Zealand at the 2012 Junior World Championship in South Africa. 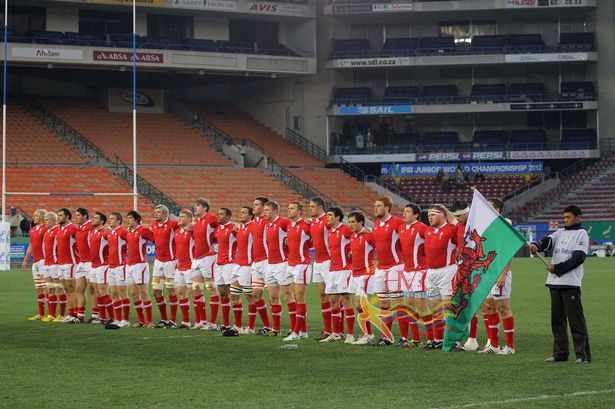 It was an astonishing turnaround from the previous year’s tournament, when Wales had suffered a record 92-0 drubbing at the hands of the same opposition. It was also the first time the Baby Blacks had ever been beaten at U20s level and the rarest of triumphs over the Kiwis at any level. We know where Morgan is and also what the coach of the team, a certain Danny Wilson, is doing now. But what about the rest of the side that made history in the driving rain of Stellenbosch? Where are they now? Born in Llanelli, Jones moved to Ireland with his family at the age of eight and spent the next decade there, playing for the Irish U18 team. But after being brought back home by the Ospreys, he switched allegiance to Wales, representing the land of his birth at Sevens as well as at U20s level. Made 14 appearances for the Ospreys in the 2012-13 campaign, including the Heineken Cup double header against Toulouse. But after that, his opportunities were limited and last September he moved to Championship side Rotherham Titans, who he features for at full-back. The man who landed the winning penalty was a unique member of the team, in that he was already a full international. Two years earlier, in March 2010, Prydie had become the youngest player to be capped by Wales, lining up on the wing against Italy when he 18 years and 25 days old, despite having made only two starts for the Ospreys. He also became Wales’ youngest try scorer when he touched down against South Africa a couple of months later, but his senior career stalled somewhat amid form and injury issues and he stepped down to U20s level. Has gone on to become a valuable member of the Dragons squad and his loss for the rest of the season with knee damage is a big blow.